Fig. 11.5. Upper: lipid-polymer membrane artificial cells (Chang, 1969d, 1972a); Middle: addition of macrocyclic carrier (valinomycin) to the lipid-polymer membrane of artificial cells (Rosenthal and Chang, 1971, 1980), (this basic principle is now being used extensively in nanobiosensors); Lower: addition of transport carrier, Na-K-ATPase (Rosenthal and Chang 1980). Fig. 11.6. 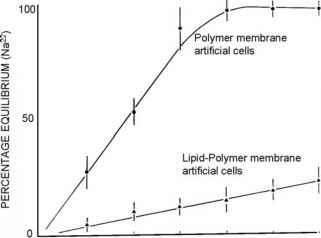 Equilibration of Na+ across large polymeric membrane artificial cells as compared to that across large lipid-polymer membrane artificial cells (Chang, 1969d, 1972a). equimolar lecithin-cholesterol mixture reduces the sodium influx to 4 x 10"6 mM/h-mm2 (Fig. 11.6). Surprisingly, this sodium flux across the lipid-polymer membrane artificial cells is of the same order of magnitude as that observed by Stein for most natural membranes (Stein, 1967). On the other hand, a study by another group (Pagano and Thompson 1968) showed that across bilayer lipid membranes, the sodium influx is of orders of magnitude smaller than that of biological cell membranes. 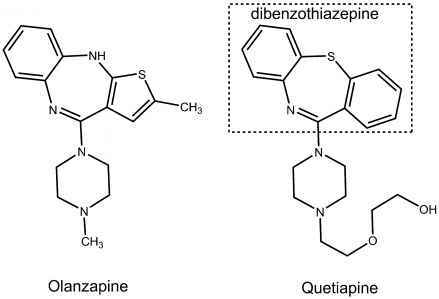 Thus, lipid-polymer membranes function more like biological membranes as compared to lipid bilayers alone.